Life in the European Middle Ages was chaotic. If you were a peasant, you likely had several masters who demanded your allegiance: the local feudal lord, the king, the neighboring Franciscan monastery, the Holy Roman Emperor, the pope, to name a few. Worse, they often feuded, simultaneously claiming rights to you, your land, and your soul under pain of death. Unlike today, there was no single supreme authority within your territory, as in the modern state, and this led to overlapping authorities and divided loyalties. Political scientists describe this situation as “fractured” or “fragmented” sovereignty, and it was the central feature of the medieval world order, where popes, emperors, kings, bishops, nobles, city-states, monastic orders, chivalric orders, and vassals frequently made concurrent and conflicting claims to the same parcel of land and the people upon it. Not surprisingly, this led to a lot of war. Like most of history, the Middle Ages knew no taboo against mercenaries. Despite Machiavelli’s protestations, the mercenary profession was considered a legitimate trade, and often the lesser sons of nobility, such as Duke Werner of Urslingen, Count Konrad von Landau, and Giovanni de’ Medici, sought careers as mercenary captains. There was no stigma attached to hiring a private army; it was considered no different from employing an engineering company to repair one’s moat or commissioning an artist to paint portraits of one’s family. The commodification of conflict resulted in a thriving market for force, as the services of private armies, or “free companies,” as they were known, went to the highest or most powerful bidder. Contract warfare was common in the Middle Ages, especially in northern Italy. The medieval world order traces its roots back to the fall of the Roman Empire and perhaps reached its zenith during the “high Middle Ages,” about 1000 to 1300. It slowly declined in the centuries that followed. Historians conventionally peg the end of the medieval era around 1500, but the reality is less clear. The centuries between 1400 and 1700 witnessed the gradual consolidation of political authority from the fragmented sovereignty of the Middle Ages—where church, emperor, king, princes, city-states, monasteries, and the like all made competing and overlapping claims of authority—to a centralized system of states that became the modern world order. But there is one date especially associated with this transition. In 1618, an uprising in Bohemia turned into a war throughout central Europe between Catholics, Protestants, and political opportunists that lasted thirty gruesome years. The devastation of this Thirty Years War was irrevocable. Nearly a third of the populations of what are now Germany and the Czech Republic were wiped out. The armies of Sweden, then a superpower, destroyed up to two thousand castles, eighteen thousand villages, and fifteen hundred towns in Germany alone. The economy was in tatters, and many small villages and cities would take a hundred years to recover. Disease and famine were rampant, and tens of thousands of people became refugees, wandering the plains of Europe. In terms of sheer destruction, the Thirty Years War was comparable to the World Wars for central Europe. Out of the Thirty Years War emerged the modern international system, or so we are told. The war ended in 1648 with the Peace of Westphalia, named after two peace treaties signed in the Westphalian cities of Osnabrück and Münster, in modern-day Germany. All the continental great powers were party to this peace that redrew the map of Europe and rewrote the rules of power. The standard reading of this event holds that 1648 delivered humanity from the anarchy of the Middle Ages by creating a new world order, sometimes called the Westphalian order, which should look familiar to modern readers. Some scholars trace the origins of the modern order back to the Peace of Lodi (1454), which founded the Italian Concert, or developments in late medieval France, but 1648 is conventionally seen as the establishment of the modern world order. The Westphalian order has three primary characteristics. First, unlike in the Middle Ages, it vests all power into a single political actor: the state. The victors of the Thirty Years War resolved the medieval problem of overlapping authorities and allegiances by declaring that only entities that controlled land may legitimately rule. Certainly, land-based authorities existed before—empires, kingdoms, dukedoms, and so on—but the modern state is different, in that it claims absolute power over all people and resources within its territorial boundaries to the exclusion of nonstate actors, such as the pope. Second, states must recognize other states as equals, and third, states should not interfere with the internal affairs of other states. Unlike in the Middle Ages, this drew a clear line between domestic and foreign politics. For domestic politics, states were free to govern as they wished, so long as they could persuade or compel their populations to obey their rule. Over the coming centuries, states increasingly participated in constructing citizenship and nationalism, so much so that by the twentieth century, most Europeans and others identified first with their nationality and second with their religion, ethnic group, or other affiliations. States also forcibly compelled dissident citizens to obey their rule and sought a monopoly of violence so no one could fight back. 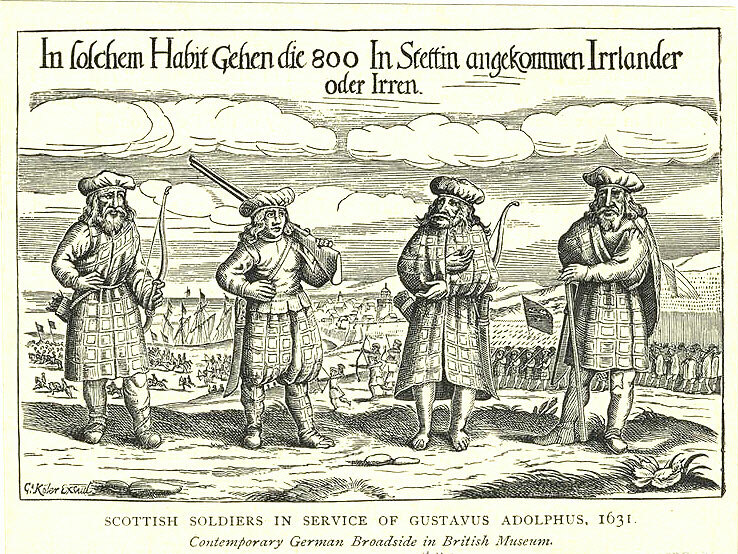 They outlawed their armed competition, such as mercenaries, who could physically threaten the government’s existence. The state’s exclusive claim to violence to uphold its rule of law is, according to many, the very essence of statehood. For instance, in 1919, the eminent German sociologist Max Weber defined the state as “a human community that (successfully) claims the monopoly of the legitimate use of physical force within a given territory.” This definition remains widely used today, and states that cannot maintain a monopoly of force and endure civil war or frequent violent crime are routinely described as “weak,” “fragile,” or “failed” states. For foreign politics, states made treaties with other states, sometimes sought to expand forcibly into their neighbors’ territory, and prevented other states from interfering in their internal politics. Over time, states developed stronger controls over their own borders and built standing national armies—not present in the Middle Ages—to wage war against other states. The great seventeenth-century Prussian war theorist Carl von Clausewitz describes the use of militaries by states as “a duel on a larger scale” to resolve interstate disputes. For him, war is simply the “continuation of politics by others means.” His seminal book On War remains the best rationale of the Westphalian way of war, which is fundamentally between states and best exemplified by World Wars I and II. Westphalian sovereignty demanded that states put private armies out of business. First, if a state were to govern as the sole authority within a given territory, it needed a monopoly of force to uphold its rule of law; all threats to this enterprise, such as mercenaries, were proscribed. Second, the Westphalian system held that each state was responsible for transborder violence that emanated from its territory, even if the regime did not support that violence. Owing to this, states prohibited private armies out of fear that they might start a war with a neighbor and drag both states into armed conflict with each other. The medieval market for force came to an end with the expansion of the Westphalian system, as public armies replaced private ones and mercenaries were outlawed. So powerful is this stigma against mercenarism that it still haunts the world order today, as evidenced by international reaction to the Haditha versus Nisour killings. Given the state’s interest in violence as a means of control, it is not surprising that the rise of the modern state is closely related to war. The development of states and the subsequent state system that makes up the Westphalian order was gradual and complex, with a thick scholarly literature on the topic. A full review of this research is beyond the scope of this book, but one thing is clear: the state’s superiority at wielding violence, both domestically and abroad, allowed it to stamp out internal dissidence and conquer nonstate rivals. According to historical sociologist Charles Tilly, states arose as a sort of security racket, akin to the Mafia, providing “protection” to citizens for a fee, or tax. Over time, states grew powerful through a violent cycle: they created strong security forces to extract wealth from the population in order to pay for those security forces. Additionally, states required security forces to eliminate rivals, both foreign and domestic. Armed force was a significant factor in states’ rise to power, or, to paraphrase Tilly, violence makes states, and states make violence. For Tilly and Olson, states arose from their superior ability to use force and eliminate nonstate rivals, rendering the distinction between “legitimate” and “illegitimate” force ambiguous, elastic, and invented. For them, might made right, and states were the mightiest. Monikers such as legitimate and just used to sanction state force were probably only internalized once states became the dominant political authority in Europe, recognizing no other authority except other states. Many and perhaps most international relations scholars believe the modern world order is inherently stable. They describe Westphalian sovereignty as a “system” or “society” of states that govern the world, and a good example of this today is the United Nations, whose voting members are states alone. Stability is sustained by natural balancing within the system, as rival powers cooperate to prevent any single state from gaining too much power. States check one another’s power through the Machiavellian calculus of national interests and balance-of-power politics, with military might as the ultimate arbiter. Hence the Westphalian order maintains global governance with the state as the prime actor of international relations. Unfortunately for Innocent, the following four centuries saw the Westphalian order grow from a European model to a worldwide one, partly because European powers exported it through colonization. Gradually, the state dominated all other forms of international authority. The papacy, once the powerful adversary of kings and princes in the Middle Ages, lost all territorial control by 1870, and its authority was largely relegated to the sphere of morality. By the end of the nineteenth century, the Westphalian state system had completely replaced the medieval order. At the beginning of the twentieth century, European states were empires of such strength that they could successfully make claims to controlling territory and monopolizing violence beyond their borders and into Africa, Asia, and the Americas. From 1880 to 1914, European state politics played out on a global scale, in the crises of Fashoda, various Balkans wars on the Habsburg-Ottoman frontier, the Great Game of Anglo-Russo rivalry in central Asia, economic competition in China, and the Berlin Conference of 1884–85 that settled the scramble for Africa. New and non-European states also sought a place in the new world order, as the United States and Japan embarked on colonial conquests and even bested European powers on occasion, in the Spanish-American War (1898) and the Russo-Japanese War (1904–1905). European state hegemony went so far that France, under the Second Republic, declared Algeria an integral part of its own territory. World Wars I and II remain the greatest expression of Westphalian war, in both scope and destruction, and their battlefields spanned the globe, by then mostly colonized by European states. In addition to the horrific losses of life, World War I also claimed the Habsburg and Ottoman empires as casualties, and the Treaty of Versailles seriously enfeebled Germany. However, this destructive test of the Westphalian order did not invalidate it. In one generation, Japan’s imperial pursuits put it in direct competition with the United States, Italy’s imperial conquests took it deep into northeast Africa, and Germany rebounded to threaten European powers once more under the Nazi regime. On September 1, 1939, World War II erupted and perhaps marked the zenith of the Westphalian order. The Axis countries of Germany and Japan suffered total defeat and occupation by other states, and Italy was rendered ineffectual as a world power. The Allied countries of Britain and France were also grievously wounded and retreated from their colonies in the decades to follow. The Suez Canal crisis in 1956 demonstrated that Britain and France, the last of the old European powers, were no longer leading actors on the world stage, replaced by the younger United States and Soviet Union. However, international relations had changed, because warfare had changed. Armed with world-destroying nuclear weapons, the US and Soviet superpowers sought power without tempting direct confrontation and therefore fought a cold war through allied states, proxy wars, and economic competition. This entry was posted in Mercenaries by MSW. Bookmark the permalink.